I love the coloring of the female broad-billed hummingbird almost as much as the male; definitely in this image, I think she is just so beautiful! 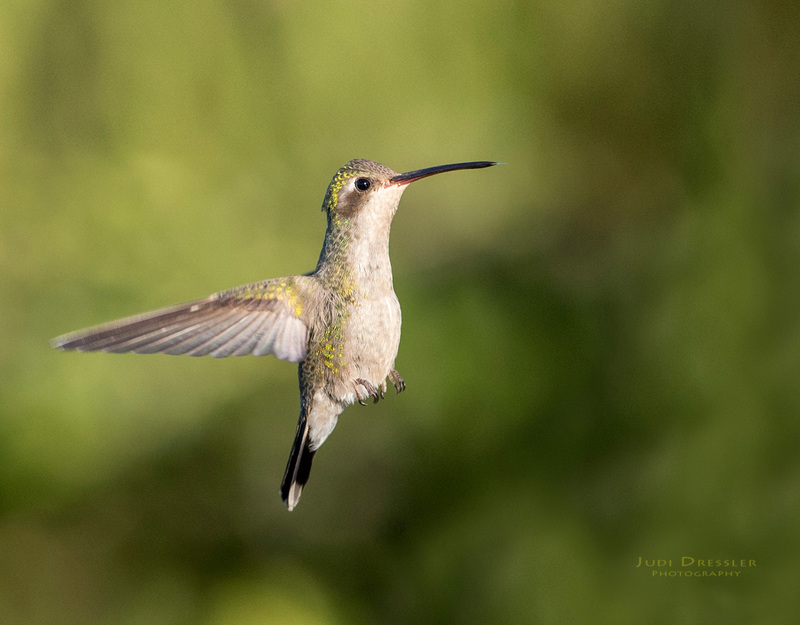 This shot was taken on a photography trip down to Green Valley, Arizona, where there are lots of birds, and hummingbirds was one of the species I wanted to see. These tiny birds are so amazing; that they can migrate such long distances while weighing no more than a nickel!